Harry Enten on the latest polling data and Will Oremus on Apple. What will we learn from a caucus more fairly representative of the Democratic Party than Iowa or New Hampshire? 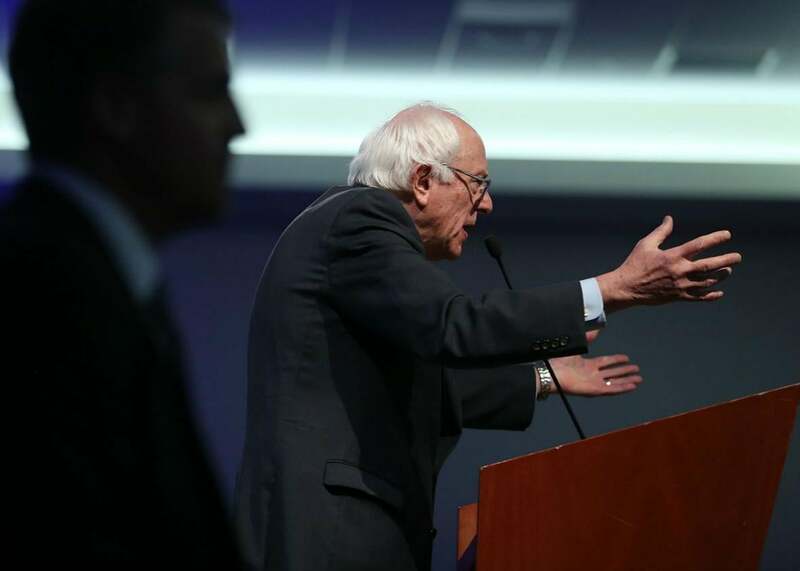 Bernie Sanders speaks at a campaign event on Thursday in Las Vegas. On The Gist, Slate’s Will Oremus joins us for a round of “One Question, One Question Only” about Apple’s battle with the U.S. government. Harry Enten from FiveThirtyEight uses his polling expertise to explain what’s ahead for caucus results this weekend and the overall value of political momentum. For the Spiel, let’s thank our outsider candidates for rewriting the playbook.